In today's post, we'll talk about Stray, an illustrated, online web series, plus the Vigilati series. We also have a personal story the author has chosen to share, plus another chance to win one of her books. All of the mythical creatures that howl, prowl, bite, and kill—from vampires to werewolves, from wendigos to witches, monsters to demons—are real. The Midnight Sentinel exists to protect the delicate human race from the monsters that wish them harm. Sebastian Locke never asked to be a Prince among the Feliscindae, a race of feline shifters. He never asked to be the champion of an entire species. He never asked for responsibility. Noah Cowan never asked to be abandoned by his parents. He never asked to be homeless. He never asked to fall into a reality where up was down, north was south, and nightmares were real. Two men living in a dystopian world, post-apocalyptic several times over, in which all of things that go bump in the night truly exist, are drawn together by an intricate spiderweb of fate, duty, blood, and love. There’s something about Noah. Sebastian is drawn to him like a moth to a flame, but so are many others—those much more dangerous than he. In order to keep Noah safe, Sebastian must trust him with his most guarded secret: the truth of the supernatural. Sebastian lingered on the street corner beside the club entrance and lifted his nose to the night breeze. A mist was in the air, and it held the crisp, loamy fragrance of new rain. From the park down the street came the scent of grass and soil, with a fecundity that hadn’t been present since the last purge. He caught a whiff of something else. A bouquet of old cedar and clean soap, with a thread of fear laced throughout. Sebastian refocused, this time with his human sight, just in time to see someone coming down the sidewalk, passing right in front of him. It was a human male, likely in his late teens, dressed in tattered jeans and a threadbare pullover—not nearly enough protection against the autumn evening chill. Sebastian was struck with the same sense of familiarity he had that night a week ago, when he’d seen the group of homeless across from the club. It shocked him to realize that this was the same young man. He carried a pack on his back, and while he moved casually enough, Sebastian noted the way his slender fingers gripped the straps. Like he was nervous. As if to confirm Sebastian’s suspicion, the boy cast a wary glance over his shoulder. He crossed the street diagonally at the intersection, and Sebastian was prepared to let him go on his way when he suddenly picked up on something else. It had a bite to it, this essence, the malefic odor of something ancient and very evil. Sebastian inhaled through his nose even as he pushed away from the brick wall to cross the street after the boy. Unmistakable. Vampire. Sebastian stayed hidden by the slithering shadows, choosing to walk along the edge of the park instead of on the sidewalk. He wanted to see if the boy was being followed, but not to be seen himself. After three blocks, the boy stopped at a bus shelter and took out his phone, frowning as he concentrated on the screen. Sebastian wanted to scream at him—why was he ignoring his earlier instinct that he was in danger? It finally occurred to Sebastian that since the young man couldn’t smell the threat, he likely thought he’d just been paranoid. As the streetlamp above the bus stop blinked out, Sebastian’s body coiled with tension. Everything in him sensed danger, and this boy, this fragile human, was completely incognizant of what lurked in the dark. Shadows swirled and flickered, and eventually coalesced into the shape of a man. That is, a man who was not a man. The creature stalked Sebastian’s young charge while his back was still turned. He was pale of skin and fair of hair—his tresses nearly as light as Sebastian’s own—but his eyes were dark, black even, swallowed completely by pupil. He was in his extasis, a trancelike state that allows the Vampire to manipulate the human mind, bend it to his will. There was no time to lose, for Sebastian knew who he was looking at. One of the oldest, most opprobrious Vampires he’d ever heard tell of, Solomon Rydic was more like a cat than Sebastian was, insomuch as he liked to toy with his victims for sport before he drained the life from them. He drank for the kill, not just for sustenance. He was one of the few infamous Supernaturals that Sebastian would recognize on sight, and apparently Sebastian’s current “jurisdiction” had become the vile creature’s new hunting ground. He had to make his move. The boy had no more time. Sebastian darted out onto the sidewalk with a swoop of his coat, placing himself bodily between the Vampire and his prey. Solomon snarled when he realized his stealth attack had been thwarted. It didn’t mean he wouldn’t still attack, though, so Sebastian crouched into a fighting stance and bared his teeth, as the boy whipped around with a gasp. “Stay back,” Sebastian growled without taking his eyes off the menace. “Your tricks won’t work on me, Rydic.” Sebastian began the transformation into his mediforma—his pupils dilated to slits and his canines elongated. If Solomon hadn’t pegged him as Feliscindae from his scent, he’d know now. Sebastian felt a tug on the sleeve of his coat. “Not now,” Sebastian said, shaking him off with a rough jerk of his arm. “Your dining habits are not welcome in my city,” he said to Rydic. Sebastian didn’t bother to answer. He knew that engaging conversation was a diversionary technique that Vampires often employed to get their way. He stood his ground, arms crossed, glaring at Solomon. The façade crumbled quite quickly, the Vampire’s face morphing into a wicked scowl. “Move aside, cat,” he said, his voice now garbled from his fangs punching through his gums. The sound he made was deep, resonant, almost demonic. If Sebastian had been a human, he would be terrified. But he was neither. Solomon surged forward with a hiss, obviously intent on ploughing through Sebastian to get at his prey. But Sebastian was as immovable as a brick wall. His hand shot out, seizing the Vampire by his throat. He extended his claws so that they stabbed five punctures into Solomon’s neck. It wasn’t enough to kill him—he regenerated, of course—but it was just enough to inform him that Sebastian could rip out his gullet in an instant. That, most certainly, would kill him. Solomon hissed and spat as he clawed at Sebastian’s arm. His feet, which now dangled a few inches off the ground, flailed about in a futile attempt to dislodge himself. His eyes glowed red as he gnashed his teeth in impotent rage. Sebastian merely smiled. “You will leave Beltrane. If I smell your rotting carcass again, I will find you and end you.” He tossed the Vampire into the shadows of the park, and he disappeared before he hit the ground. Breathing hard from the exertion of fighting the Vampire’s Supernatural strength, Sebastian turned to face the wide, frightened eyes of the boy. Like Ethan, this one was more of a man than a boy, but Sebastian guessed he was an older teenager—considered an adult by post-purge humans. He hadn’t run or fainted after witnessing the fight, even though he’d no doubt realized something horrible had nearly happened to him. That, more than anything, impressed Sebastian. As the streetlamp flickered back to life, bathing them in a pale artificial glow, Sebastian could see him clearly. Warm brown eyes stared at him from within a golden-skinned, round face. The boy’s dark brown hair was shaggy, curling at ridiculous angles like it hadn’t been combed in a while—and Sebastian found it strangely endearing. Now that he’d gotten a good look at him, Sebastian didn’t think he was homeless. A little bedraggled, yes, but too clean and fresh not to have a place to shower and get some decent rest. Sebastian should tell him to run along home and not stop until he was safe inside. “What’s your name?” Sebastian’s voice sounded gritty and underused, even to his own ears. The boy’s tongue darted out to wet his pink lips, a nervous action that drew all of Sebastian’s focus. Read the story here or here. All Isla Macallen wanted was a simple existence on her little Scottish island, free from her mother’s insanity and the prying eyes of neighbors. What she got was embroiled in a war for the souls of mankind. A war of good versus evil, of witches versus demons, and Isla learns that she alone can end it. Dr. Jeremiah Rousseau was a self-proclaimed nomad, traveling the world researching paranormal phenomena. 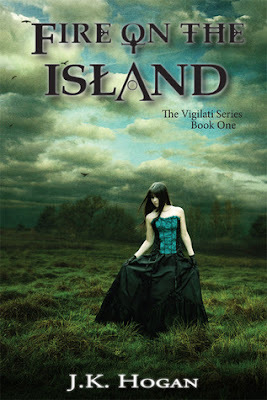 He doesn’t expect his research to lead him to Scotland, and to the woman who will turn his world upside down. Together with a facetious shapeshifting animal spirit guide, Jeremiah and Isla discover that she is part of an ancient bloodline bred to protect the gateways between the human world and the spirit world, to keep evil demons from destroying them. They must find the key to defeating Alastore, the demon king, and closing the gate before Samhain, when the veil between the worlds is lifted. As the war for their souls wages around them, Isla and Jeremiah will risk it all for love—a love neither had ever thought possible. The daughter of a Las Vegas hustler, Raven Sabatier grew up trusting nothing and no one—she doesn’t even trust herself to stay in one place for longer than a minute. When her quest to find out the secrets of her past leads her to the mountains of North Carolina, she’s set on a collision course with the one man she thought she’d never see again. In Appalachia consulting on an archeological dig, Anthropologist Dr. Drew Deveraux comes face to face with the indomitable beauty who broke into his apartment a year ago, tilting his carefully cultivated world on its axis. Engaged in a fight with their demons, both imagined and real, the last thing either of them expected to find was love. Together, they must unravel the mystery of Raven’s past and her connection with an ancient race of witches, in order to save their future—and all of the souls hanging in the balance. Can a traumatized veteran-turned-mercenary who is tormented by voices in his head be saved by the love of a wayward single mother with demons of her own? Afflicted by PTSD from serving in Afghanistan, and tormented by a childhood trauma, transient veteran Matthieu Rousseau struggles with the choices he's made in his life. Estranged from his family, Matthieu drifts from one mercenary job to the next, until one thing stops him. Fate. In hiding from her abusive ex-husband, musician Fate Callahan lives in New Orleans with her seven-year-old daughter. She remains in constant fear of being found, and her worst nightmare comes alive when a dark, dangerous stranger tells her he’s been hired to locate and kill her—but wants to save her instead. Fate and Matthieu find themselves on the run together, fleeing from the hitmen and an unseen evil worse than anything else they’ll face. 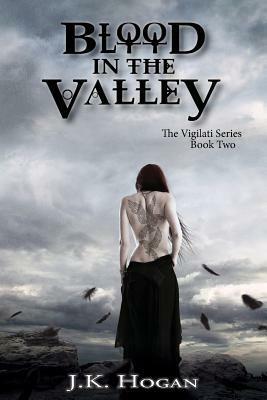 While just trying to stay alive, they become entangled in the battle between the Vigilati and the Lochrim; an archaic sect of witches and the evil creatures they are bred to fight. Unbeknownst to Fate and Matthieu, they are more deeply connected to the Vigilati than either of them could ever imagine. They must join family and allies of the Vigilati to help save the human world, possibly saving each other along the way. Matthieu teaches Fate how to trust in love again, while she gives him back the one thing he never thought he deserved—family. I’d gone through a bad breakup after a bad relationship. You know the kind where the other person so completely absorbs your personality that you don’t even have your own identity when you come out of it? Yeah, it was like that. I knew I was better off without this guy, we’ll call him Jack, but since Jack’s interests had become my interests, and Jack’s friends had become my friends, etc. and so on, once he was gone, I was a shell of myself. Once I (sort of) learned to live with the pain of the breakup, I had to figure out who I was again, and what I was going to do with my life. I thought of a lot of crazy plans…mostly based on a book or a TV show. I was going to move to L.A. and be an actress—ignoring the fact that I was a total introvert—or I was going to be a photographer on a cruise ship, or I was going to move to New York and become a famous artist. You get the idea. The one thing that I finally settled on, though, was something that I actually had experience with. Horses. I’d read a few Nora Roberts books that took place on horse farms, so that was where that idea came from. A friend of a friend got me an interview at a trail-riding farm, and since I knew how to ride, I was hired. It was there that I met my husband. He had been there for a while, so he was my supervisor. He had a girlfriend at the time, but we could all see that it was an unhealthy relationship—something I knew plenty about. He and I became friends, and we even figured out that we’d had a class together in elementary school, and there we were meeting again well over a decade later. We’ve been married 12 years and we have two beautiful boys. So the next time you read about long distance relationships, or childhood friends reconnecting, or whatever might bring two people together that seems like a one and a million chance, just remember sometimes these things can happen! J.K. Hogan has been telling stories for as long as she can remember, beginning with writing cast lists and storylines for her toys growing up. When she finally decided to put pen to paper, magic happened. She is greatly inspired by all kinds of music and often creates a “soundtrack” for her stories as she writes them. 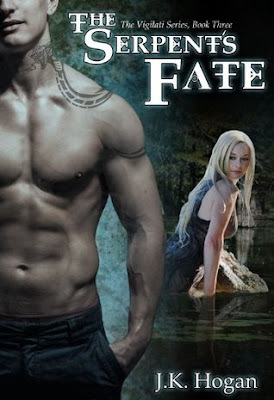 J.K. is hoping to one day have a little something for everyone, so she’s branched out from m/f paranormal romance and added m/m contemporary romance. Who knows what’s next? She also offers book cover design and graphics. Thank you for celebrating with us. Come back next week for all the info on the Coming About series, our author interview, plus one more chance to win. Thank you for the excerpts! They all sound wonderful.